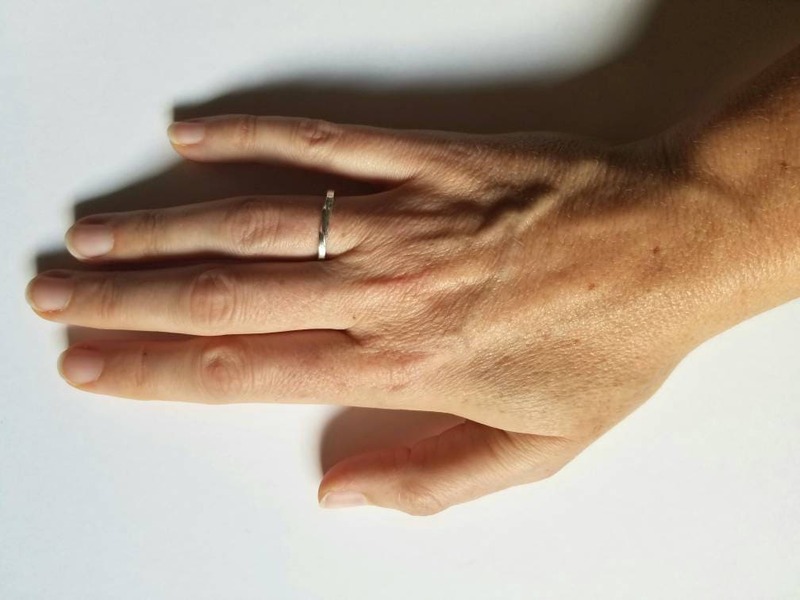 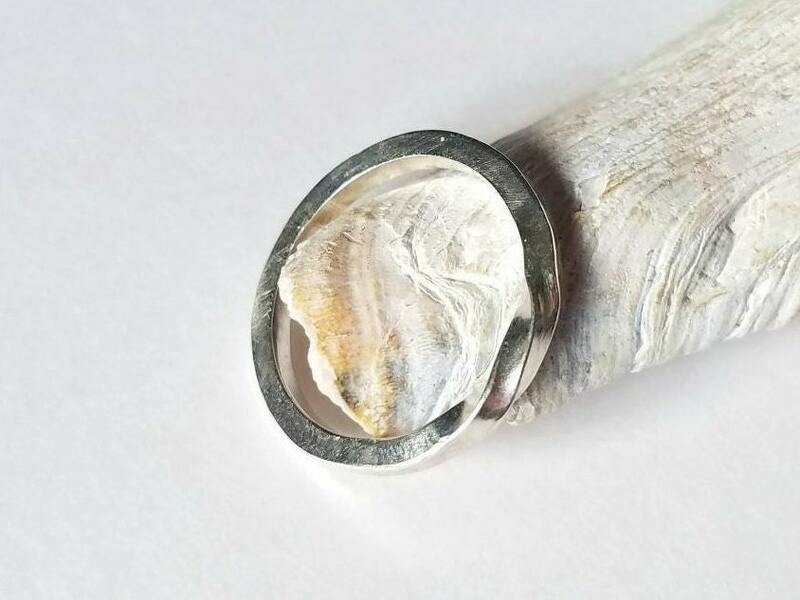 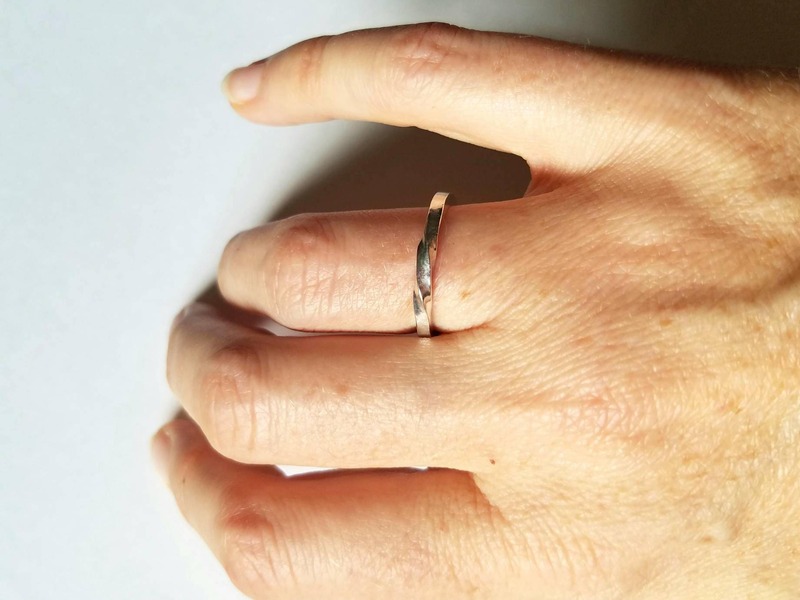 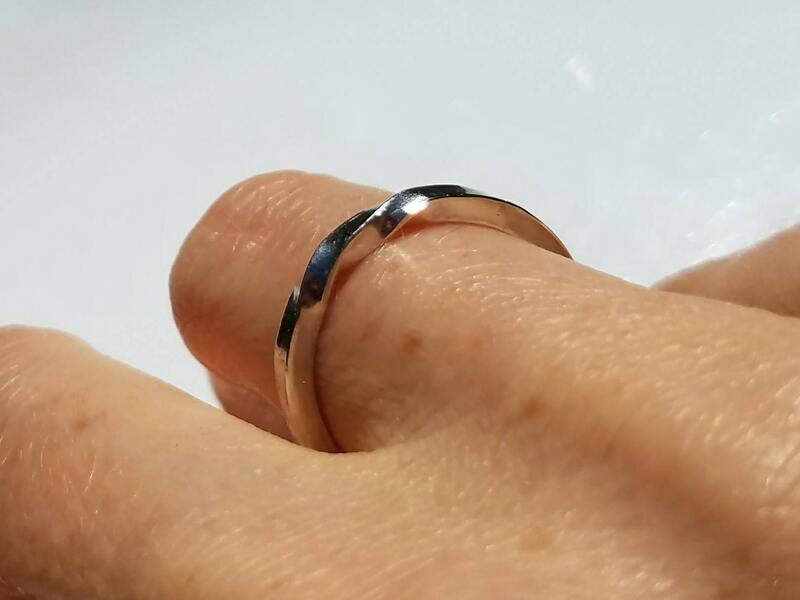 This hand twisted, forged and polished sterling silver band is simple, yet fascinating. 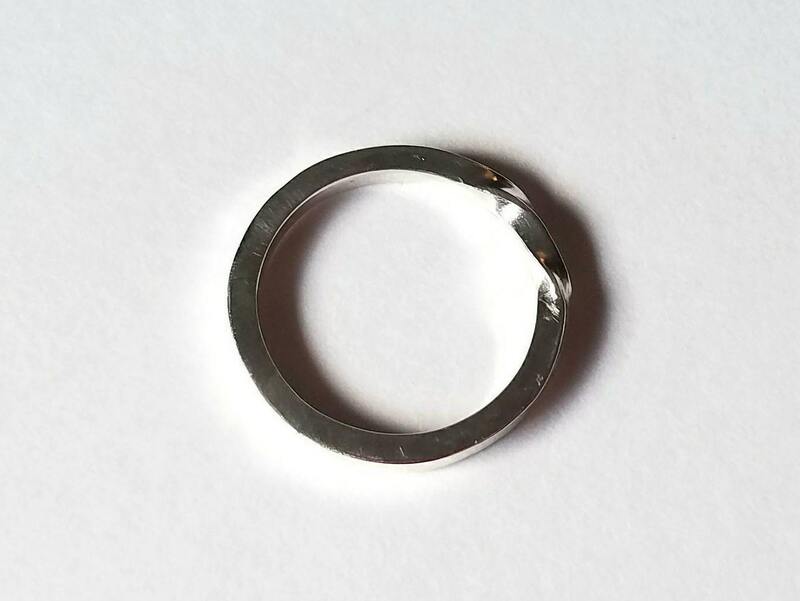 Traverse its entire length, and you will end up exactly where you started having traveled both sides. 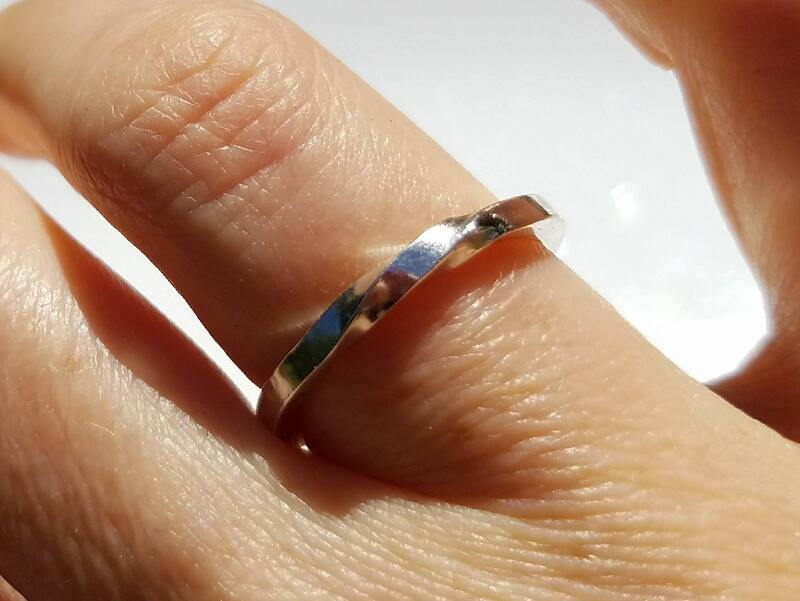 It is lovely worn alone or in a stack. 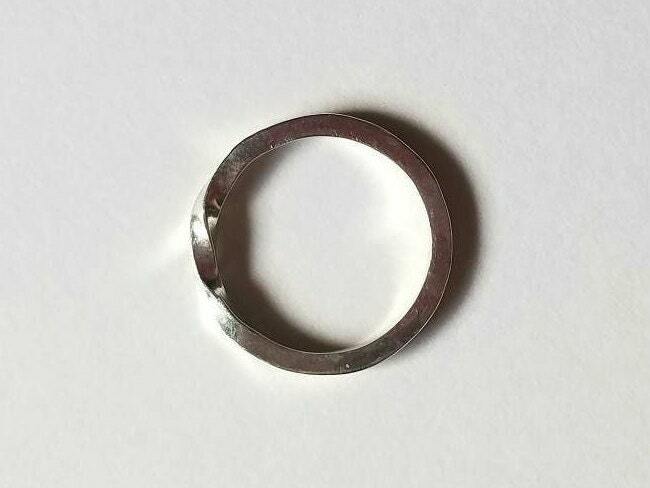 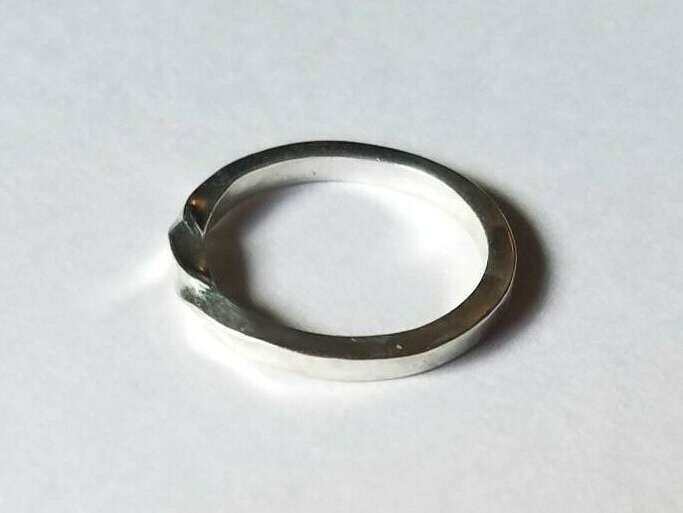 The ring is approximately 2mm wide and currently size 8.25.